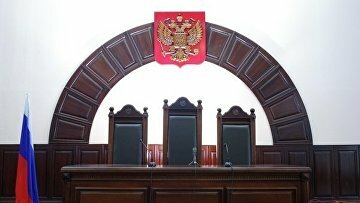 Russian President signs law on extending disciplinary sanctions against judges | Russian Legal Information Agency (RAPSI). MOSCOW, July 30 (RAPSI) – Russian President Vladimir Putin has signed a law extending disciplinary sanctions against judges, the document published on the official website of legal information reads. The law envisages introducing such punishment as reduction of judges in qualification category for serious disciplinary offenses. This disciplinary penalty would allow qualification board of judges to take disciplinary actions against judges more accurately and differentiate liability for committed violations depending on the situation. The law will come into force on September 1, 2019. 14:41 30/07/2018 Russian President Vladimir Putin has signed a law extending disciplinary sanctions against judges.